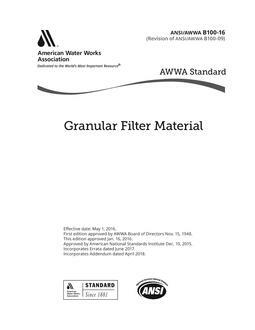 This Standard is intended to cover specific materials or products that come into contact with: drinking water, drinking water treatment chemicals, or both. 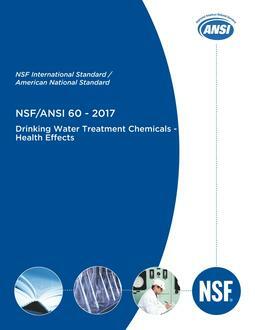 The focus of the Standard is evaluation of contaminants or impurities imparted indirectly to drinking water. The products and materials covered include, but are not limited to, process media (carbon, sand, etc. ), protective materials (coatings, linings, liners, etc. ), joining and sealing materials (solvent cements, welding materials, gaskets, etc. 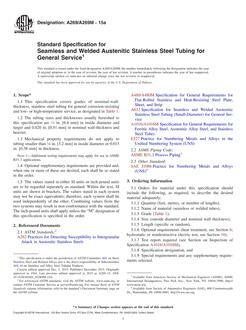 ), pipes and related products (pipes, tanks, fittings, etc. ), mechanical devices used in treatment/transmission/distribution systems (valves, chlorinators, separation membranes, etc. ), and mechanical plumbing devices (faucets, endpoint control valves, etc.). Point-of-use and point-of-entry drinking water treatment devices are not covered by the scope of this Standard. Fire hydrants are not covered by the scope of this Standard.